We will be closed to appointments on Good Friday evening 4/19/2019 and closed entirely to appointments on Easter Sunday, March 21, 2019. We are still caring for those staying with us, only closed to appointments, should you require special arrangements during this time, fees apply. Spacious, individual, 25′ indoor/outdoor, accommodations. Most of our facilities are completely enclosed with fence for the most extreme escape artist. The outdoor portion is covered with a permanent roof to give your pet the freedom to go outside in any type of weather. Solid 3′ indoor/outdoor dividers provide a safe and stress free environment. Radiant floor heating inside and out provide continuous warmth during the winter months. Air conditioning, commercial grade ceiling exhaust fan, and 9 ceiling fans allow us to keep the facility at the perfect temperature whatever the summer weather brings. Paw Spa; you do not have to be staying with us to take advantage of our grooming facility. Grooming or bathing can be scheduled before your return or by appointment. A 15% frequent groomers discount applies to those returning every 6 weeks. 28 acres of walking trails, play areas enclosed with 10′ fencing are available for one on one exercise. We do not offer group play times. Doggy daycare can be provided for your pet during those hard-to-train years. 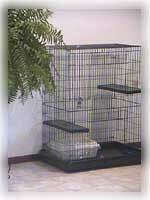 anything that will make your cat’s stay more comfortable. Virtual visitation gives you the opportunity to view your cat while you are away. Playtime is available for your cat. 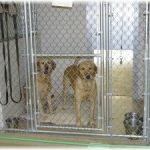 Fines can be up to $300 per dog, PA requires a license for every dog 3 months or older.